It's never been easier to organize your Home! nside the Complete Household Notebook you will find daily and weekly printables, budget forms, meal planning forms, calendar pages, monthly goals and to do lists, as well as cleaning schedules and much, much more. 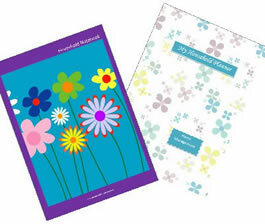 The Complete Household Notebook is filled to the brim with planner forms and templates for you to use and print. It's never been easier to get organized! Inside the Complete Household Notebook you will find daily and weekly printables, budget forms, meal planning forms, calendar pages, monthly goals and to do lists, as well as cleaning schedules and much, much more. Organize your home and life now and enjoy the calm it brings to a household!